Among the most surprising words of the 6-3 smackdown that crushed Aereo were the ones that began the opinion: "Justice Breyer delivered the opinion of the Court." Breyer is known as a technologist and has stood in the past against what he saw as overextension of copyright law. No one anticipated he'd be writing the startup's death warrant. But so he did. The legal point at issue in the case was whether Aereo was engaged in "publicly" "performing" other owners' copyrighted works – that is, whether Aereo was publicly transmitting such works. The court answered the question by dividing it in two, first asking if Aereo was performing or transmitting at all. That question is harder than it looks, because the usual inquiry in this area of copyright is not whether there is performing or transmitting going on, but who is to be considered the doer. Aereo said the user was the volitional agent here, because its system – unlike a cable TV system, for instance – does nothing for the user until the user affirmatively selects a channel and clicks the Watch button. It's not just lawyers fussing over nothing. The distinction between company as volitional and user as volitional is also the distinction between direct and secondary liability – or no liability – on the company's shoulders for potential copyright infringement. It's a distinction that made a big difference in the Supreme Court's 1984 Betamax decision, which upheld the legality of home VCRs. Because Aereo's system is inert until activated by the user, Aereo said the broadcasters were barking up the wrong tree when the sought to hold it liable for direct infringement. The question of secondary liability wasn't at issue, because the case hadn't proceeded that far: the Supreme Court was ruling on denial of a preliminary injunction based on direct liability. ...The court then did another strange thing: it analyzed whether the performing was public. As the dissent by Justice Scalia points out, this second step was unnecessary: after all, every cable system performs to the public. And yet the court dutifully proceeded with the analysis. The purpose, charged Scalia, was simply to add a gloss of rigor to a results-driven decision. Retransmission fees rise: The reason TV networks took this case all the way to the Supreme Court was the fear that Aereo would undercut their growing revenue stream from fees paid by cable and satellite distributors to carry their signals. Aereo challenged that scenario, and Scalia even made light of it, but now that broadcasters have a definitive win, they get some certainty that the multi-billion dollar stream of money may very well grow into a river. No more ‘deploy first, ask questions later’: After the ruling, Aereo’s Chet Kanojia asked, “Are we moving towards a permission-based system for technology innovation?” In the eyes of many in Hollywood, when it comes to using their content, the answer is yes, and that is how it should be. That’s one of the reasons why groups like SAG-AFTRA and BMI praised the decision, as they characterized it as one that ultimately could have an impact on the ability of artists to collect royalties and residuals in the digital age. Cloud computing, remote DVR safe for now: The Aereo case has its roots in Cablevision’s unveiling of a remote DVR, in which its subscribers could select programs to record and store their content on remote servers or in the cloud. In reaction to the ruling, Cablevision expressed confidence that its RS-DVR is protected. It may seem ‘private,’ but it’s really ‘public’: The case came down to whether Aereo’s transmissions of broadcast streams were public performances, and therefore fell within the scope of the Copyright Act. The majority of the court said yes, the streams were public performances, even as Aereo contended that it was merely supplying remote equipment so their subscribers were in control of what they watched, and when and where they chose to view it. But Forbes's Rogowsky still thinks that Aereo doesn't have to close up shop. The high Court actually ruled fairly narrowly. The consequences of that ruling are likely to be limited — and perhaps even non-existent. And if Aereo wants to stay in business, there’s absolutely a way it can do so. ...Most of the technology thought leaders believe Aereo got shafted yesterday by the Supreme Court. For whatever it’s worth, I don’t. While I’m not a huge fan of either the 1976 Copyright Act or the 1992 Cable Act, which created the framework under which broadcast networks could charge money for retransmitting their signals, both are in fact laws on the books. Generally speaking, the Supreme Court is a last resort for getting laws overturned not a first one. Aereo was forced into the courts because the networks immediately sought injunctions to block its service. That’s the way these things tend to work. It didn’t have time to seek changes to federal law. Instead, it took the path of an Uber or AirBnB: operate in a legal grey area and hope the law moves with you or affirms your actions. Unlike those other companies, however, Aereo faced big national entities who could take the matter before the ultimate Court in the land. Aereo lost a huge round yesterday. It could choose not to answer the bell for the next one. But if that’s the path it takes, it has no one to blame. And it would be a shame if the next innovator chose to take the wrong lessons from either the Court’s decision or from any choice Aereo makes to stay on the canvas. Neither would be a good outcome. One cable industry market research analyst is hopeful that it will not just survive but thrive and that Aereo's technology, if not its business model, will help. So says Stephen Beck, founder of cg42, which recently released a study on the frustrations of U.S. cable company customers. The cable companies were actually quietly rooting for Aereo. Although Aereo competed with them, if the Supreme Court ruled that it was legal, they might have copied its technology, they said. That would have saved them billions of dollars in fees they pay every year to broadcasters for the right to carry their TV channels over cable. So Beck thinks that even though Aereo can't continue to operate as is, the concept will be resurrected somehow. 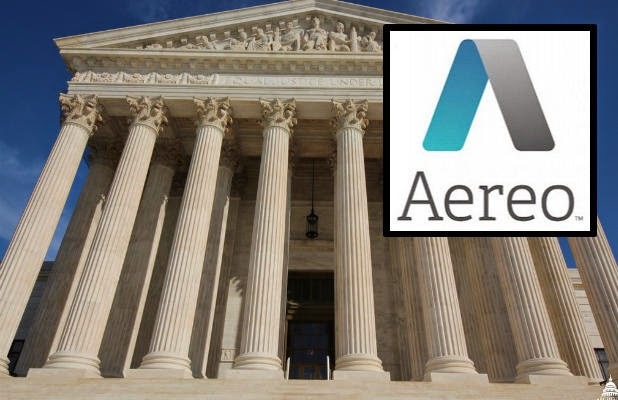 The U.S. Supreme Court's ruling on Aereo Inc. purposely kicked a bigger question down the road: What defines a cloud service and when can it be held liable for the way customers use it? ...Lawyers said that lack of distinction could muddy the waters for the cloud industry. By "mushing all these things together, you could wind up with services being held directly responsible for things that users are doing," said Matt Schruers, vice president at the Computer and Communications Industry Association, which includes among its members Google Inc., Yahoo Inc. and Microsoft Corp. and other Silicon Valley companies. James Grimmelmann, a law professor at the University of Maryland who filed a friend-of-the-court brief on Aereo's side, said the decision doesn't clearly enough enumerate what the differences are between Aereo's system and cloud services. "It doesn't tell us how we draw the line." Prof. Grimmelmann said that because Wednesday's decision is all about what a service can be used for—In Aereo's case, streaming live TV—it "would tend to erase the distinction" between a "dumb" cloud storage service that stays uninvolved in users' uploads or downloads and a "bad actor" cloud service that aids people in uploading pirated content to the Web. * Innovators lose because the Aereo decision makes it harder for them to know where the lines are drawn. The court said Aereo – which allowed users to use RS-DVR technology to transmit programs, from a small antenna to a hard drive and thence via packet on the Internet to mobile devices and PCs – was "substantially similar" to a cable system that uses a single big antenna to transmit programs via cables buried in the streets to television sets. The fact that Aereo also resembled an RS-DVR was discarded. With that much elasticity, how does a technologist know whether her brilliant idea too closely resembles a phonograph or player piano roll and therefore runs afoul of some vastly pre-Internet analysis? * Multichannel video programming distributors – cable companies, satellite providers and telcos – win because the court decision eliminated the threat posed by the $8-$12 per month. Aereo, which was building a cable competitor from the ground up. Aereo already offered Bloomberg News in addition to broadcast stations, and if it added programming, subscribers could readily have built a meal out of Aereo plus Netflix, Hulu and other services, bypassing ever-increasing MVPD subscription fees. Had Aereo survived and thrived, its presence might ultimately have spurred unbundling. * Dish may lose because the erosion of the volition requirement in copyright liability may render Dish's Hopper product more vulnerable to attack – and the brushing aside of implementation details may make arguments in the case more uncertain all around. Dish has beaten back a preliminary injunction demand by Foxx, most recently in the 9th Circuitin January, but the case continues in the district court. * Consumers lose for the same reason that MVPDs win. High priced cable bills are here to stay, and unbundling remains a distant dream for consumer advocates. * Networks and broadcasters win because they beat Aereo and can continue to press MVPDs for carriage fees. Meanwhile, the TV Everywhere initiative survives, which brings live TV to mobile and other Internet devices, but only for users who have a paid MVPD subscription. ABC already has a mobile app – but to access those free over the air signals on their mobile, consumers have be subscribers to a participating MVPD. * Small broadcasters lose,because for them capturing additional audience from cordcutters and millennial "cord nevers" may have been more valuable in terms of ad revenue than the loss of carriage fees. * FilmOn aka Aereokiller loses because it operates a system highly similar to Aereo's. The broadcasters' 9th Circuit case against FilmOn has been pending a decision for months, presumably awaiting the Supreme Court's Aereo ruling. * Content companies win because a portion of the fatter profits for broadcasters flow back to them. * Content creators – producers, writers, directors, actors and crew – win as well because more money in companies' pockets means less economic pressure on the production business. Finally if you still haven't had enough and want a blast from the past go here and then for a more "legal" breakdown of the ruling plus the dissent... have at it, at the IPWatchdog.